For all hair types, particularly dry, dehydrated hair. This shampoo restores moisture balance as it gently cleanses dry, dehydrated hair. The unique hydrating formula locks in moisture instantly improving the condition, health and shine of dehydrated hair. Perfect for eliminating frizzy, flyaway hair. This body building shampoo is formulated to gently cleanse while adding volume, strength and body to fine or limp hair. Its unique formula works to make fine hair appear thicker and stronger which helps to prepare hair for full volume styling. 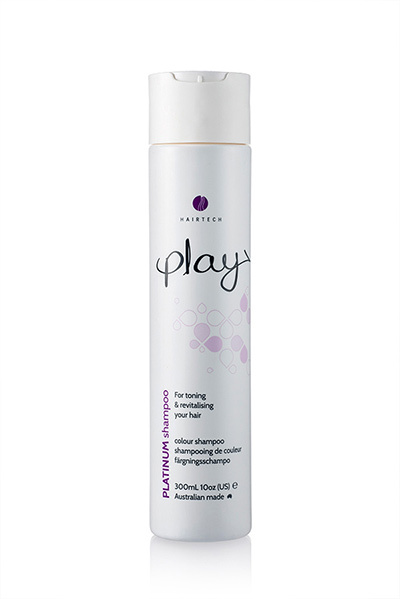 An extra gentle cleansing and conditioning shampoo that re-balances dry, chemically treated hair. The protein enriched formula reinforces the hair’s inner and outer structure for increased elasticity, strength and shine. For toning and revitalising hair. This violet/blue cleanser is for toning and revitalising your hair. It restores strength to the hair while neutralising unwanted brassy and gold tones, leaving a more cool or neutral tone. It cleanses, exfoliates and adds moisture. A gentle shampoo that helps alleviate the flaking and itching while leaving hair healthy, shiny and manageable. Zinc Pyrithione - is a chemical complex that has antibacterial and antifungal activities, along with resistance to ultra violet radiation. It is very effective in the treatment of fungal or bacterial infections of the hair and skin, in particular Dandruff. Cocamidopropyl Betaine - is a natural surfactant (cleanser) derived from coconut. It is also an antistatic agent and a hair & skin conditioning agent. Guar Hydroxypropyltrmonium Chloride - has excellent conditioning and soothing properties. Provides moisturisation and a smooth feel to hair and skin.